Emma Killick knows London well. And like us, she prefers a map-free, app-free guide to the best shopping in Knightsbridge – from Gucci to Chanel via Harvey Nichols. Put on your best frock and give your credit card company a warning call: you’re off for a day of shopping in Knightsbridge. 1. 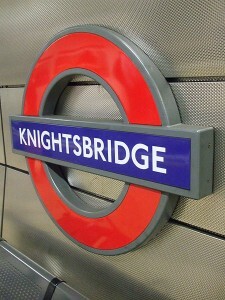 Exit Knightsbridge tube station on the London Underground train network and take a gander at the modern buildings in front of you: One Hyde Park is currently the most expensive real estate in the world. At £136 million for the penthouse, I don’t think the people that bought these flats were sitting next to you on the tube, but you may find them in the shops you’re about to visit! 2. 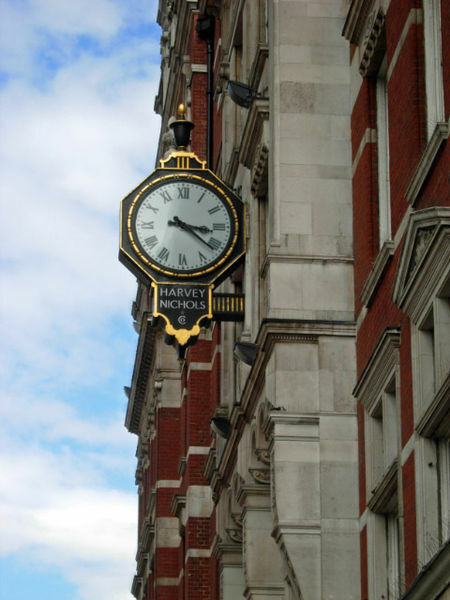 Now turn right and cross the street for Harvey Nichols. You’ll feel absolutely fabulous (sorry – it was the mainstay of every Absolutely Fabulous episode!) after you’ve picked up some of their exclusive and up-to-the-minute offerings. And even better if you stop for a drink on the fifth floor – admire the other fashionistas at the bar, café or restaurant. 3. Now, go back on yourself, past the tube and down Brompton Road. You’ll see a ginormous Burberrys across the street on the corner. Pop in for some traditional and timeless gorgeousness. 4. When you’ve had your fill of trenchcoats, get back on Brompton Road and walk for about three more minutes and you’ll hit Harrods. Get past the throngs buying the distinctive green, shamelessly branded items and check out the amazing food hall, toy department and acres of fashion. Don’t miss the windows if you’re there at Christmas. 5. 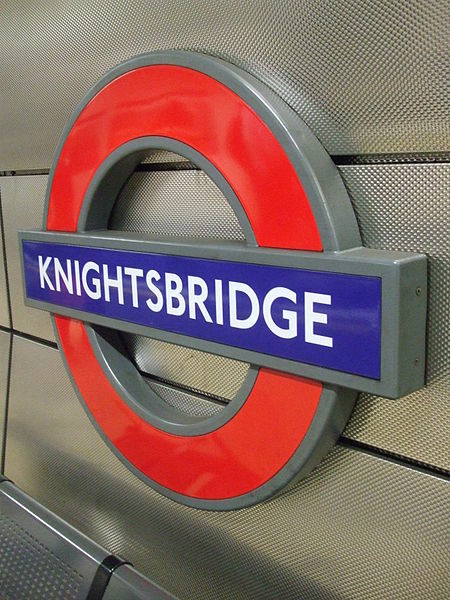 You’re probably looking too fabulous and carrying too many bags to make a quick detour into Hyde Park, so save that for another day and head back to Knightsbridge tube. If your credit card company’s anti-fraud department hasn’t already put a hold on your card, don’t leave the area yet: turn right onto Sloane Street just after the Knightsbridge tube station (and be tempted by the likes of Gucci, La Perla, and Chanel) then continue down the road until you find the tube entrance on the other side of Sloane Square. Emma Killick is a contributor to The Holiday Goddess Handbag Guide to Paris, London, New York and Rome (HarperCollins). Images Emma Killick and Wikimedia Commons.